These giant sand designs seen mostly on California beaches are not symbols sent from outer space aliens. 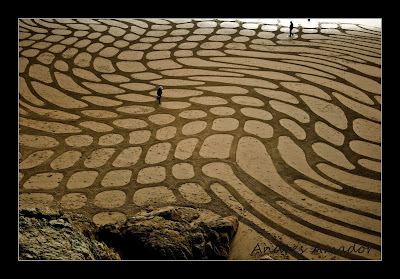 They are actually created by the artist Andres Amador of San Francisco. 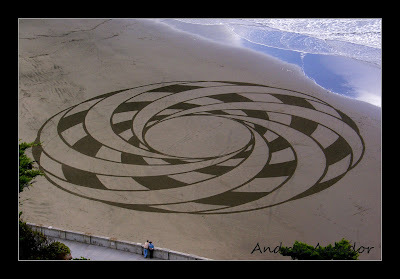 If some of these striking designs remind you of crop circles you would be right, at first Andres did take some inspiration from them. He explains that recently his work has transformed into two branches, a geometric style which is very precisely created, and a more organic style of designs that seem to mimic life and have a more natural flow. 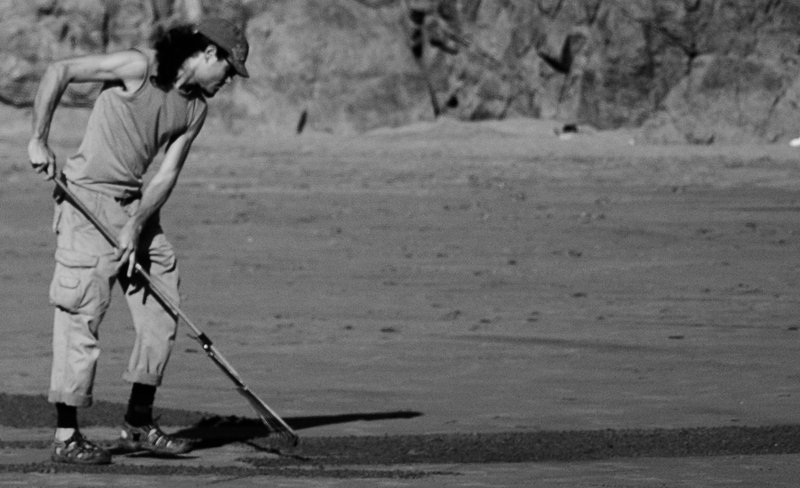 Andres' sand art is physically created using different sized rakes that act like brushes on a canvas. 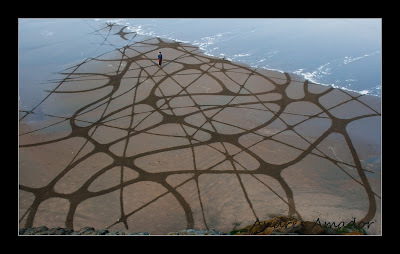 Something very special about his art is that once hes done creating and photographing it, it's all washed away into the ocean providing a blank canvas for the next day. 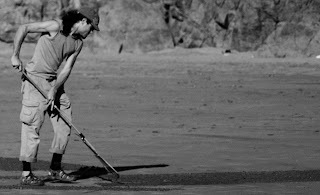 He said in an interview with CNN that "Life is about the process, the doing, it's not about the end result." 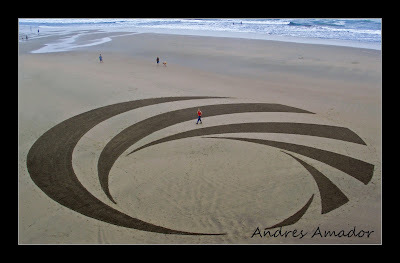 this is how Andres deals with his incredible works of art being swept away just after completion.